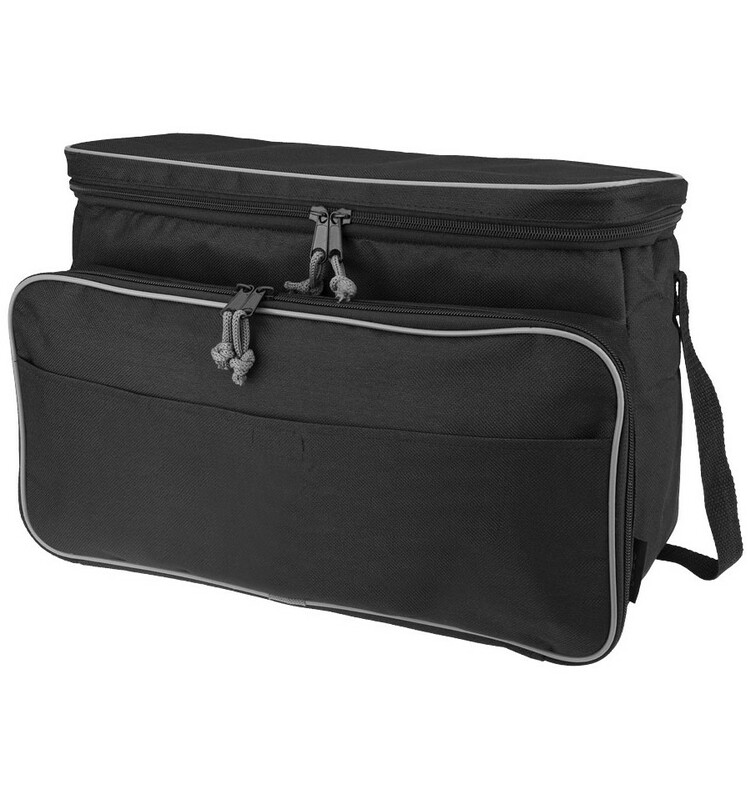 Dox 3-piece BBQ set with cooler bag. A must-have for the outdoor eater and drinker. 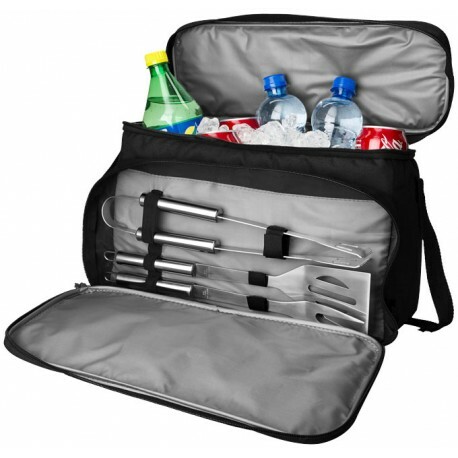 Set includes 3 BBQ tools, a spatula, tongs and fork which are organised and stored inside the front compartment of the bag. 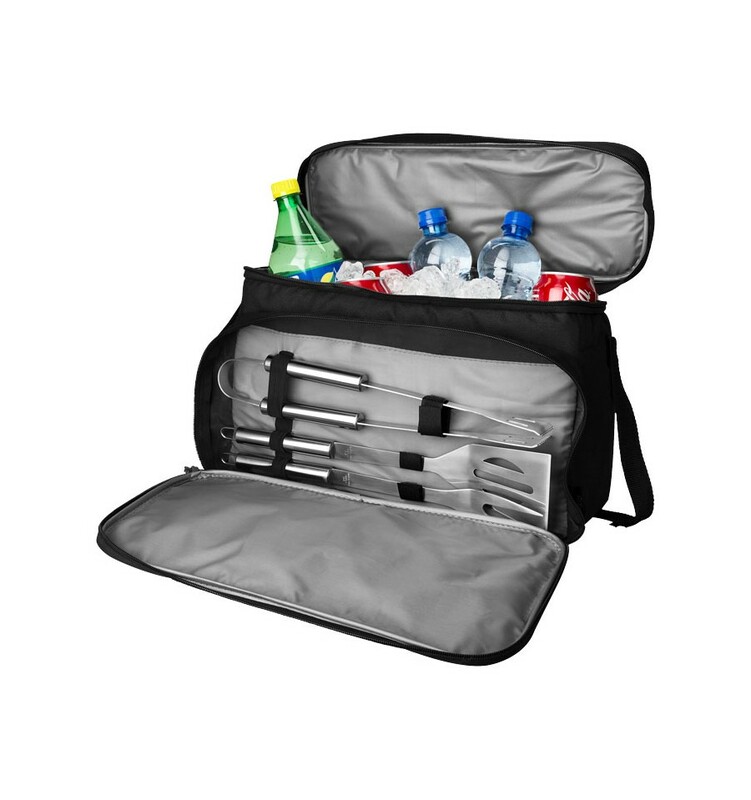 The cooler compartment is built in for keeping your drinks cold. 600D Polyester and stainless steel.